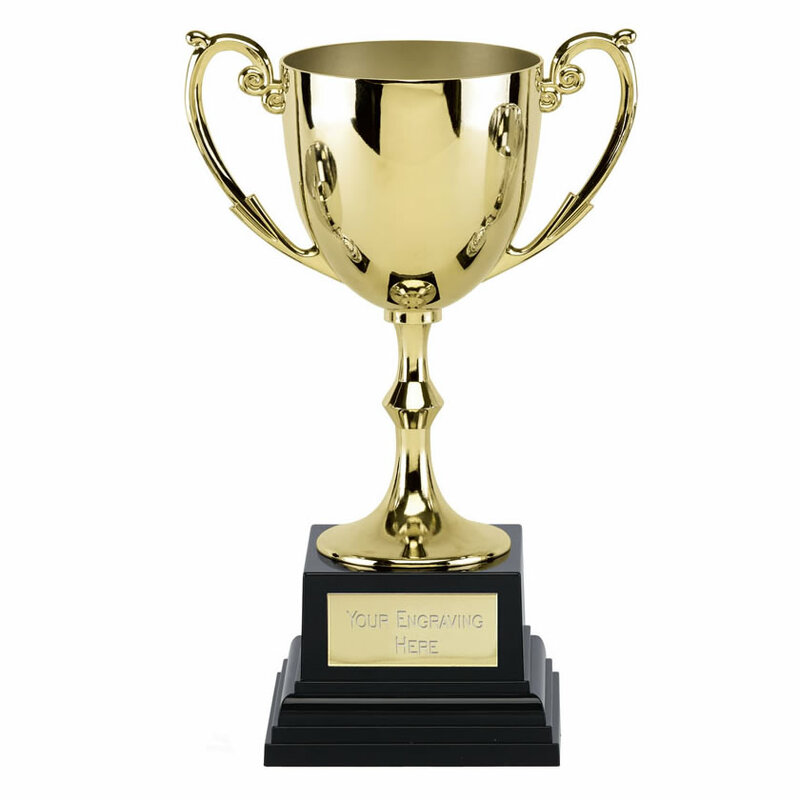 Traditional two-handled trophy cup in gold colour finish. These cast metal trophies are mounted on a stepped, heavyweight black base with engraving plaque. They are supplied in black boxes and can be engraved on the body and/or base plaque. Available in four size options.